It’s a guilt that, nine months later, he believes led to him running into a burning building in Ilford, East London, in a desperate bid to save a man he thought was trapped inside. 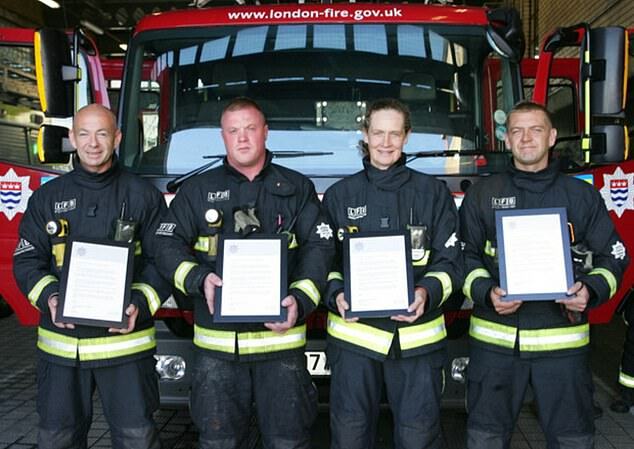 He was without his partner — a contravention of the London Fire Brigade’s rules. Yet with flames belching out of the top floor windows and hearing the pleas of the flat’s elderly owner to save her son, Charlie believed there was no time to lose. With two other firefighters ahead of him, he battled acrid smoke to try and carry out a rescue — only to find the flat empty. Selfless heroism, nonetheless, you might think. Not according to his employers. 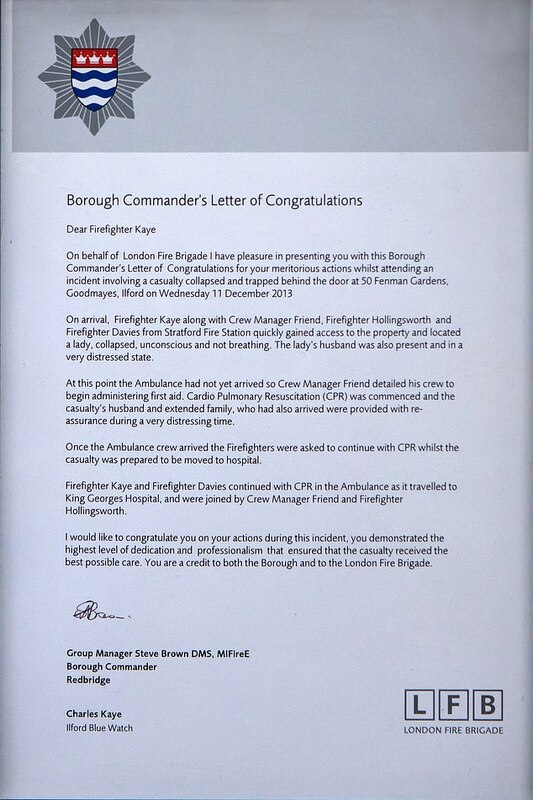 Instead, Charlie — a commended firefighter previously described as ‘a credit to both the borough and the London Fire Brigade’ — was sacked for contravening health and safety regulations. Is there any more depressing example of bureaucracy gone mad? Charlie himself has another phrase for it. ‘It’s a massive injustice,’ he says. ‘I acted not for personal gain but to save a life — risking my own life in the process — and this is how they have treated me. His bewilderment is enhanced by the fact that his superiors were, he says, aware he had been diagnosed with post-traumatic stress disorder (PTSD) after his experiences at Grenfell — a diagnosis that he believes helps to explain what he acknowledges was an error of judgement. ‘Since Grenfell I was carrying a lot of guilt, and in those initial milliseconds of getting off the fire engine in Ilford it all came flooding back. I had this overwhelming instinct to get in there,’ he recalls. Today, that bewilderment remains palpable. 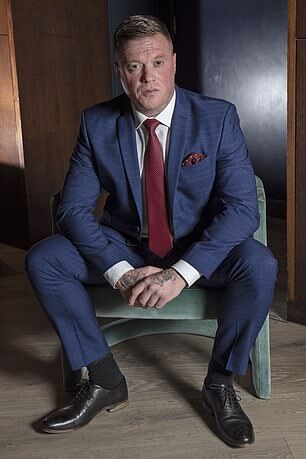 An articulate and compassionate man, Charlie admits he is still struggling to accept that he has lost not only his livelihood, but a job he considered a vocation. Raised in Billericay, Essex, the eldest of three boys, Charlie’s father was a firefighter who retired after 30 years of service. From when he was a teenager, Charlie knew he wanted to follow in his footsteps. He joined the service in 2008, aged 21, passing out in July that year after a rigorous six-month training. ‘There’s so much to learn — from how to search properly so that you don’t miss a casualty in a pitch-black room to operating equipment and giving first aid,’ he recalls. Based in Ilford, the grim reality of the job revealed itself straight away, from house fires and harrowing car crashes to electrocutions and train accidents. On more than one occasion people took their dying breath in his arms. ‘Something upsetting would happen on most shifts,’ he says. Charlie also helped save many lives, and in December 2013 he was one of four firefighters to receive a prestigious Borough Commander’s Award for bravery for helping to save a woman who had collapsed from a blood clot. In his commendation, Redbridge Borough Commander Steve Brown described Charlie as ‘a credit to both the borough and the London Fire Brigade’ and praised his ‘outstanding work’ in a ‘stressful and distressing’ situation. But nothing could prepare any firefighter for arguably the most distressing incident they would ever have to face. On June 16 last year, Charlie’s team was detailed to assist the Disaster Victim Identification team tasked with recovering bodies from the Grenfell Tower fire two days earlier, in which 72 people lost their lives. Today he still struggles to talk about what he witnessed. Dispatched to the 23rd floor, he made his way up the stairwell in the pitch black, wading through filthy water, strewn with the floating personal effects of fleeing residents. It took half an hour, carrying heavy equipment, to reach the 23rd floor which was ‘a shell’, with piles of rubble and ash concealing human remains, among them a tiny skull and the larger skull of a teenager or young adult. ‘It hits you hard, that lots of people had lost their lives there. You imagine their last moments; the panic.’ He shakes his head. Charlie and his fellow firefighters rode home later that day largely in silence. ‘No one could shake it off really, and for two to three weeks afterwards I really struggled to sleep. I had nightmares, and was very anxious,’ he recalls. 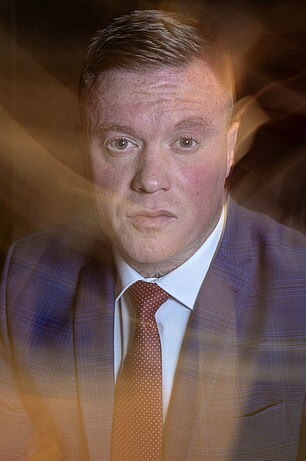 He claims that while firefighters were supposed to be given a mandatory mental health assessment, he and fellow colleagues at Ilford never received one. Instead, it was business as usual — business which, in February, came in the form of a severe house fire: the first significant one Charlie had attended since Grenfell. He and his crew arrived to a chaotic scene. 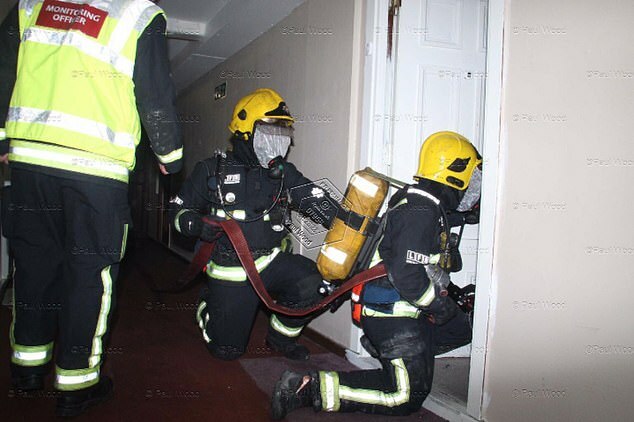 ‘The whole top floor of a house was ablaze, and after getting out the fire engine I could see a woman had been rescued. She was horribly burned and shouting that her son was inside.’ Desperate to make a difference, Charlie went in, reassured by the fact that two other firefighters had gone ahead of him even though, he claims, the house had not got a fireman stationed at the entry, checking breathing apparatus — part of the protocol. ‘I thought my partner was with me but he had dropped back to help the elderly lady. By the time I realised, I was already in the house,’ he recalls. Later, it emerged that the flat’s owner had dementia and was confused. ‘I apologised to my superior officer and said I had made a mistake and left my partner behind. He told me not to worry about it, that I had done a great job. In reality, the incident had shaken him more than he realised. ‘I was very emotional and shaking as I drove. I pulled over into a lay-by and got out the car to compose myself, then threw up on the side of the road,’ he recalls. 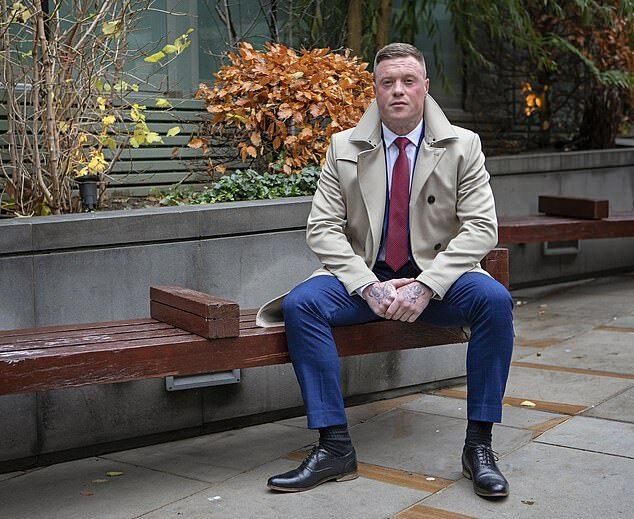 On his return to work, Charlie was put on light duties and, finally, offered counselling to help him cope with his experience at Grenfell — although in the end he says he had to arrange it himself. He started weekly therapy sessions, as well as consulting his GP, who diagnosed him with PTSD. Against this backdrop, then, Charlie believed that his contravention would be treated as a performance issue, meaning he would be given extra training. But in the summer, his station head told him he was sending Charlie’s case to the Health and Safety Executive as a serious breach. 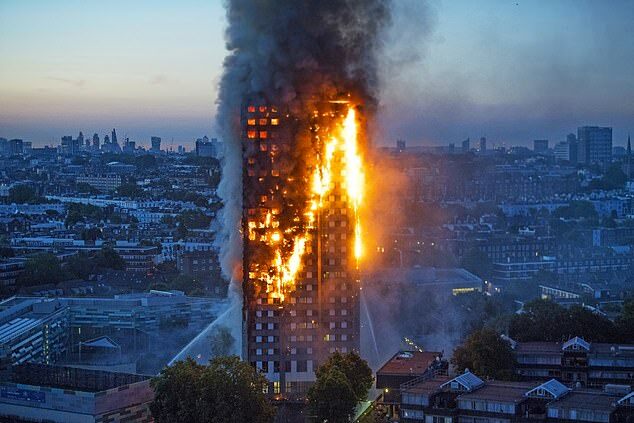 ‘I asked about what was happening to everybody else who had attended the fire, as several of them blatantly disregarded health and safety, but they were being given extra training,’ he says. All Charlie could do in the weeks that followed was place his faith in that fact that at the discipline hearing on September 20 at the Brigade headquarters in Union Street he would escape with a written warning. Instead, he was sacked on the spot. With the backing of his union, he submitted an appeal, which took place two months later. ‘My case was based on the fact that my evidence hadn’t been listened to,’ he claims. But the decision was upheld and the London Fire Brigade said it was impossible to determine a causal link between Charlie’s actions in February of this year and a subsequent diagnosis of PTSD from his GP. They also took into account his disciplinary record over many years and found ‘a consistent inability to comply’ with brigade policies. Charlie was told he could not return to work. ‘My world was turned upside down,’ he says. ‘It felt like I had been very shabbily treated. It rubs salt in the wound that recently the Fire Brigade has made a point of lauding itself for being conscious of mental health issues. Today, with his last pay packet long gone, Charlie is living off savings, and pinning his hopes on a tribunal hearing where he hopes to overturn his sacking.